Experience a unique combination of history, nature, and recreation on a Champoeg Park course through forests, fields, and wetlands. 10K/30K entrants complete one or multiple 10K loops. 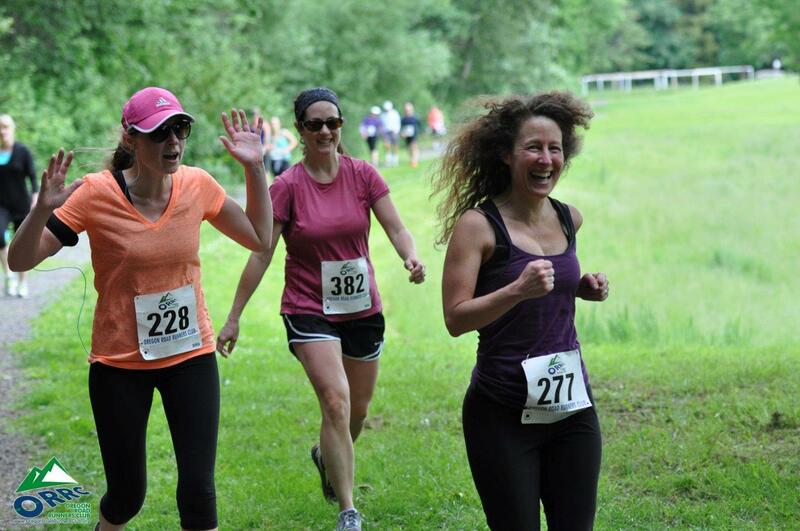 In 2019, we’re introducing a new event at Champoeg – a four-person marathon relay. Each person on your team runs 1/4 of a marathon distance – or one loop of our two-loop half marathon course. Get your group together for this new event and enjoy the wonderful surroundings at Champoeg State Park. Thanks for joining us for our 2019 event. 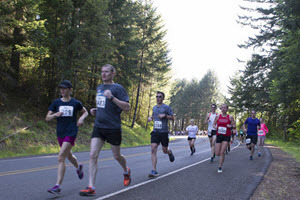 Registration for the 2020 Champoeg Runs event will open later in 2019. Save the date though – March 7, 2020. Info below is from our 2019 event and may not represent our 2020 event. There is a $5 per vehicle parking charge at Champoeg State Park which is collected at the main gate for non-volunteers and non-carpool cars. Carpools and volunteers have parking paid by ORRC. If you’re interested in volunteering for this event, please to see our various volunteer roles. Past results and photos are available – click here. All finishers for 10K, Half Marathon, 30K, and Marathon Relay will receive ORRC event medals and a Champoeg event shirt. All runners and walkers are entered into a raffle for their separate event, with winners’ bib numbers will be posted after the start of each race. In addition, separate raffle prizes for 10K series finishers will also be posted. Our 2019 Champoeg Half Marathon Run has been chosen for the Road Runners Club of America (RRCA) Western Region championship. The Championship medals will be presented to top overall, master (40+), grandmaster (50+), and senior grandmaster (60+) male and female winners. We’re also proud to say that the 10K and 30K events at Champoeg are the RRCA State of Oregon Championships for those events. The Championship medals will be presented to top overall, master (40+), grandmaster (50+), and senior grandmaster (60+) male and female winners. This year’s 30K event is USA Track and Field sanctioned which means that it is eligible for national records. We have a person coming that’s trying for an age group national record in the 30K distance. USATF Sanction Number C19008770. The course is basically flat on roadway, bike/pedestrian paths, with some gravel and rollers. 10K is One loop of the course. 30K is three loops of the course. Half marathon is two loops of the 10K course with an extra 900 foot leg outside of Champoeg Park. Marathon relay is two sets of half marathon course, or four loops in total. An aid station featuring water, replenishment, fruit and goodies will be located at 1.5 mile and 4.75 mile of the 10K loop. Early bib pickup will be from 4-7 p.m. on Thursday, February 28th at the ORRC office location – 4840 SW Western Ave. in Beaverton – not far off Highway 217. Come into the office doors (NE side of building) to find your bib and shirt. Note that only registrants as of midnight Wednesday, February 27th will have their bibs prepared for pickup at this time. This is the second event of the annual ORRC 10K Series. For more information – click here. Please visit and like our Facebook page to receive the most current ORRC race updates. 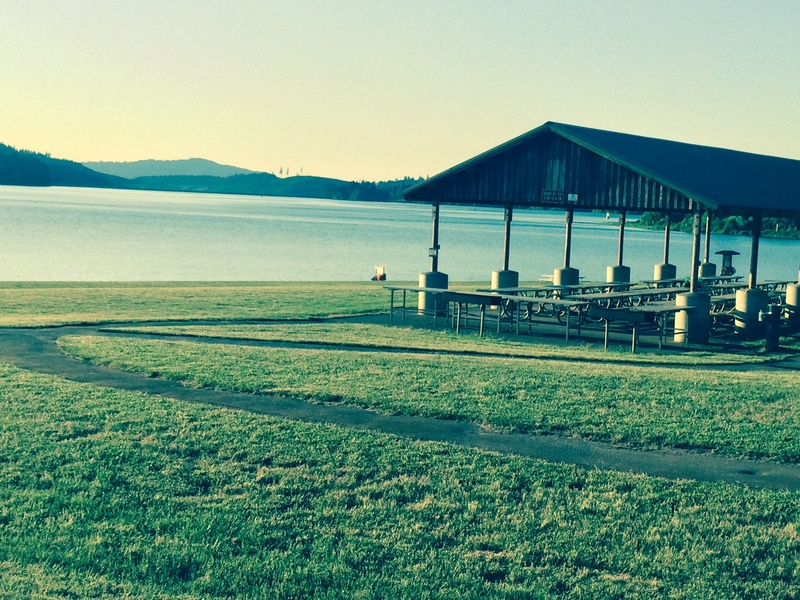 Participants should read the Oregon Road Runners Club rules for participating in events. In addition to the rules linked above, participants may not wear headphones. No dogs or strollers are allowed for this event due to narrow trail widths. The use of personal music devices is strongly discouraged at this race. To enjoy all that our race has to offer and for the safety of all participants, ORRC encourages a headphone-free environment during the running of the event. Post race event will be held under the pavilion.